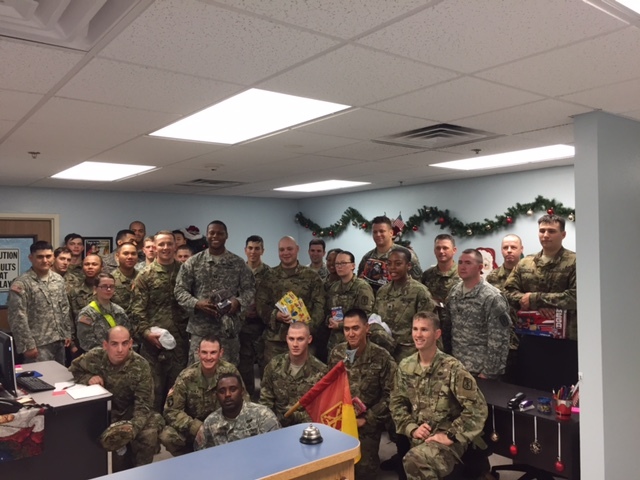 October 20, 2016–HHB 17 FA, Headquarters and Headquarters Battery with Field Artillery at JBLM, held a toy march to raise toy donations and awareness for Santa’s Castle in conjunction with the 12 mile ruck march. What a generous donation and amazing effort! Thank you all for your donation and dedication to helping your fellow soldiers and their families have a better Christmas. 30 members of the HHB 17 FA pose for photo inside Santa’s Castle office. Proudly Providing a Merry Christmas to Military Families Since 1994! 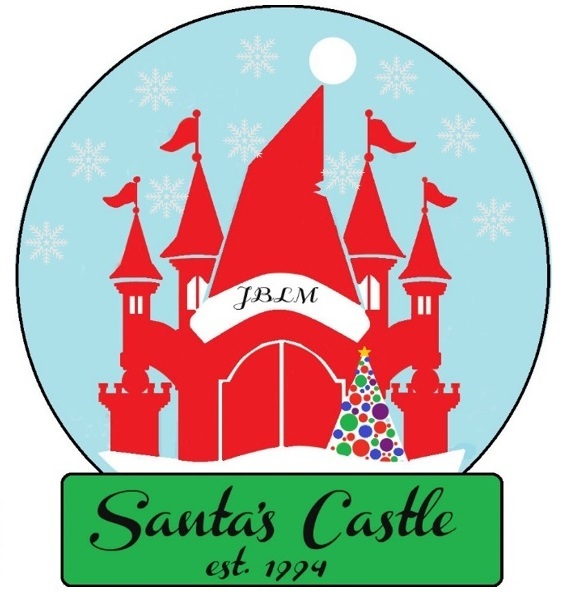 Santa's Castle has provided Christmas since 1994 to the children of Army, Air Force, Navy, Marine, Coast Guard, National Guard and Reserve families (Primarily E-4 and below) experiencing financial difficulty. 2131 children from 925 families were served this past year. A GRAND TOTAL of $211, 721.00 in toys, books, games, bikes, and stocking stuffers were given out . A BIG thank you to all of our donors and volunteers, we could not have done this without each of you!!! Our donors and volunteers are dedicated to ensuring the children of our military heroes receive Christmas gifts. We are proud to say that the Castle is operated entirely by volunteers! Applications for the 2019 Season will be accepted September 24th-November 1st from Unit Leadership. No self-referrals are accepted. Toy Distribution, for approved applications, will be November 26th-November 30th and December 3rd-December 7th.